Saving energy starts with keeping the heat in – and that means using the right materials, in the walls, floors, roof and windows. Insulation is absolutely vital. Without it, up to 50% of your home’s heat can escape from the walls and roof. 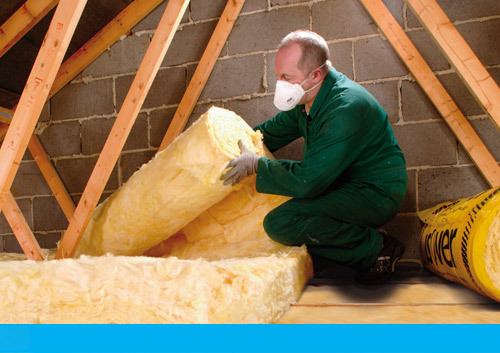 We install a wide range of insulating materials, from floor, loft and internal wall insulation to external render clad insulation. As an approved Green Deal installer, we can install any of these through the government scheme – so there may be funding available to help pay for the work. Find out more on our Green Deal & ECO page. Like insulation, the right windows are very important in cutting energy use. Up to a quarter of your home’s heat can escape through the windows, so any improvement will have a lasting impact on your energy bills. We recommend planitherm glazing that uses Argon filled double glazing – which is even more energy efficient than standard double glazing. As planitherm-approved installers, we fabricate our own windows at our factory in Lochgilphead. This allows us to customise windows to suit your needs, while maintaining a quality standard. If you’d like to find out any more about making changes to your property to cut back on energy bills, please just get in touch or visit us at our Lochgilphead office.